He is known for his incredible inventions. Not one or two, but he has completed his 118th invention recently. 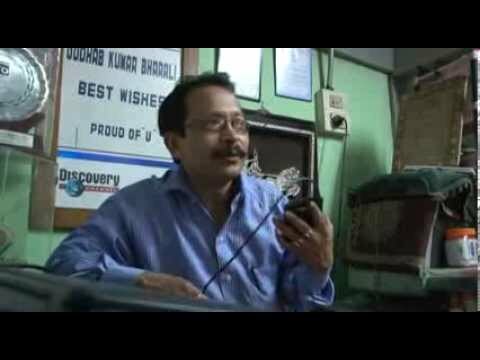 Meet Uddhab Bharali, the man from Assam, known for his numerous inventions. Uddhab Bharali was born in Lakhimpur, Assam. Academically he was an extraordinarily bright student. Bharali did his schooling from the Government Secondary School, Lakhimpur. Uddhav was often asked by his teacher to stand outside the class, because he used to ask difficult questions’ in mathematics. Uddhab Bharali was rewarded twice with double promotions at school. After completing first grade, I was promoted to third grade and from Class VI, I was promoted to Class VIII. I loved mathematics. I even tutored some of my classmates to help them get good grades, said Uddhab Bharali. Bharali, who was graduated from school at the age of 14, had to drop out of engineering college because he could not afford the fees, due to the poor financial condition of the family. The odd jobs he took up were not enough to support his large family. Deteriorating financial condition finally let him chose the path of innovation. When Bharali’s family was in debt, he decided to start a polyethene making business. But instead of spending lakhs of rupees on buying a machine, he designed his own for only about 67,000 rupees. This was the beginning and since then, there has been no looking back for him; the list of his innovations kept on increasing. But his inventions had been brought to the public knowledge only when the famous story-writer, novelist, river engineer and eco-technocrat, Arnab Jan Deka wrote an exclusive article about Bharali and his innovations in two of the prestigious newspapers of Assam. In the year 2005, Bharali’s talent came to the attention of the National Innovation Foundation, Ahmadabad and they took him aboard as a grassroots innovator. In 2006, Bharali’s pomegranate de-seeding machine was recognized as the first of its kind not only in India, but across the world. Most of his innovations are related to the agriculture. Uddhab Bharali, the serial innovator has a very soft side that very few people know. Besides being a successful innovator, Uddhab Bharali is a true humanitarian. The man who invented the polythene making machine, because he had not enough money to buy it, is now busy in developing new user-friendly equipments for the handicaps. He spends minimum 2 hours daily for research, developing different aiding apparatus for handicaps. 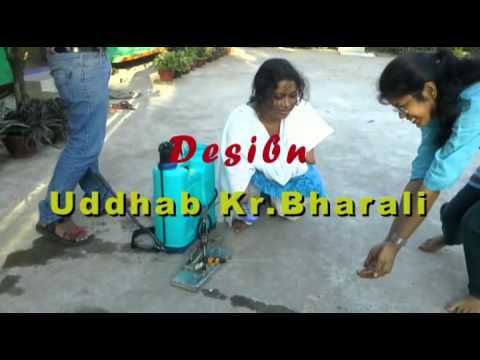 Uddhab Bharali has helped many physically challenged persons, with the help of his inventions. He has been financially supporting 18 families and bears the cost of all the medical treatment of any of the family members, belonging to those families. Not only this; Uddhab Bharali wants these people to be financially independent too. His off the beat thinking and innovations have helped a few of the handicapped people to be financially stable. They can easily operate the machines developed by him and use them as an employment opportunity. Surprisingly, Uddhab Bharali does all these for free. Moreover, he selects up to 10 illiterate students and invites them for a three-month training program where he exclusively teaches them how to use technology. Till now, he has trained-up more than 50 youths technically, from the rural areas. Everyone would be surprised to know that Uddhab Bharali does not accept any donation to carry out his service to the poor, needy and handicap people. Expenditures for all these noble causes are managed by whatever the fees he gets from his R&D works and as a resource person. Uddhab Bharali is now planning to set up an old-age home and an orphanage before it is too late. He has purchased a small plot also for the purpose. He has plans to bring up the orphan as technical expert. Uddhab Bharali, the man who strongly believes ‘technology is common sense’, is a holder of numerous accolades. He is a recipient of ‘President’s Grassroots Innovation Award’, 2009. In 2007, he got ‘Shristi Samman Award’. He is the winner of engineering design contest organized by NASA Tech ‘Create the Future Design Contest’ for the year 2012 and 2013. He is also the recipient of ‘Rashtriya Ekta Samman, in 2013. Uddhab Bharali has clients from all over the world. Several countries have taken his help to solve the technical problems, especially in the Agricultural field. Nine of his inventions are in international demand. In spite of having a worldwide recognition, Uddhab Bharali still lives a simple life. We really salute his unbreakable determinations and the positive spirit that have let him not only to invent, but also to serve the needy through his inventions. Below are videos of two of the devices developed by Uddhab Bharali, which have benefited hand less people.